Take good care of your Southwest Greens golf green with proper maintenance to ensure years of quality enjoyment. 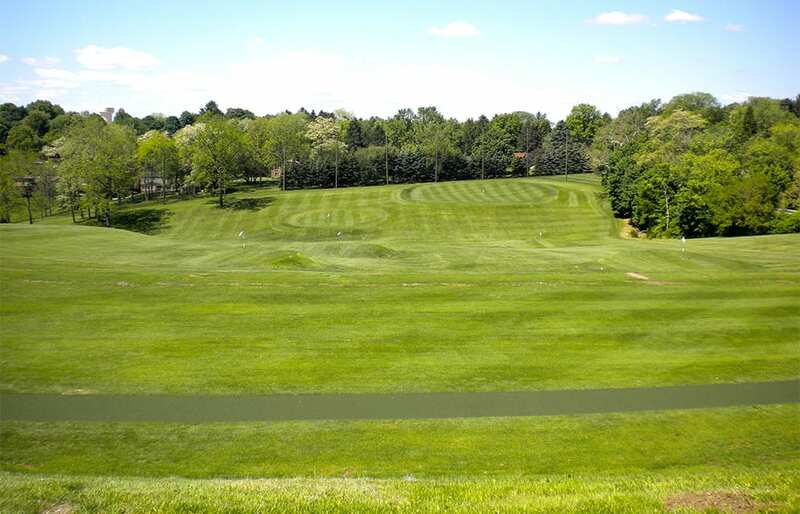 When it comes to hitting golf balls, a pristine natural grass surface is the optimal choice. Hitting from a divot laden practice area or rubber mat can be daunting. However, the costs and care associated with keeping natural grass in good condition often makes it impossible to maintain, leaving rubber mats as the only option. Now with our pro tee lines you are able to get the look and feel of hitting off of natural grass without the maintenance! 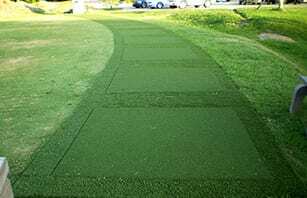 Our synthetic tee lines are designed to allow you to place tees directly into the surface or just drop balls and hit off the turf. 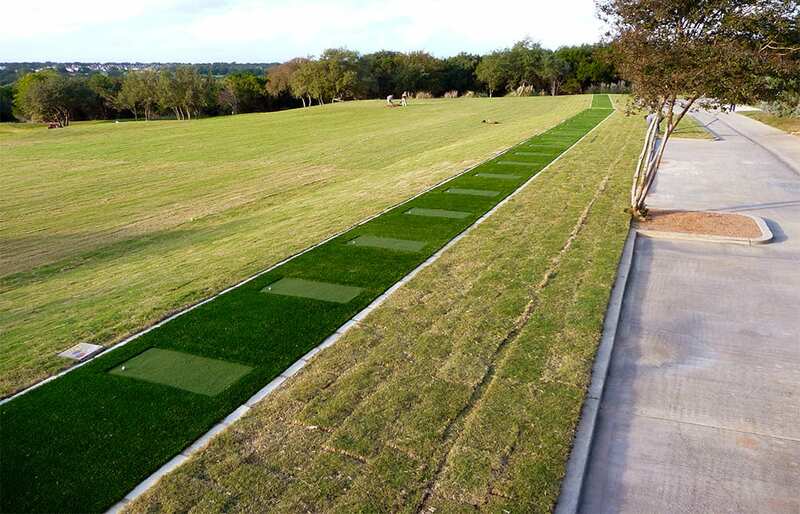 Golf courses, driving ranges, and personal practice areas can all benefit by having our synthetic tee line installed. Contact us today to learn more. We also sell individual ULTIMATE TEE nylon mats, which is the same surface we use for our tee lines, but individually cut to size. With a realistic feel and ability to hold a tee, it’s like hitting off a natural surface at the comfort of your home. Choose a size to your liking and start working on your golf game today. Contact Southwest Greens of Pennsylvania today to find out more about our tee line products or to purchase an individual mat.